That lovely piece of poetry was penned by Murfie member Brian. 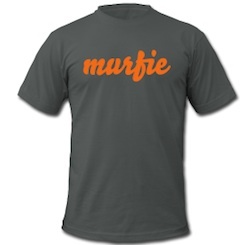 For his poetic work, Brian will bag $50 of Murfie store credit plus a fresh Murfie T-shirt. Now, you’re probably thinking—I wish I won that swag. Do not fear; stay tuned here on our blog for the next shot at your free giveaway!